Businesses across various industry verticals are slowly but surely turning to beacons to make their marketing to sales to customer service contextually relevant. However, the first step towards successfully incorporating beacons into your business is procuring the right beacons for your business. Beacons come in all forms and sizes with varied features and capabilities. Do you need battery-operated beacons, or USB-powered? Do you need Wi-Fi enabled beacons that work with your existing Wi-Fi set up? Besides this, there are several other factors that come into play. For example, if you plan to deploy beacons outdoors, you might require all-terrain beacons or water-proof beacons. Whatever the case may be, with hundreds of beacons in the market, gathering information from different hardware manufacturers, comparing them and zeroing down on the right kind of beacons to suit your business needs can be a harrowing experience. Filter beacons based on their price, beacon range, battery life and compatibility with various mobile operating systems (iOS and Android). You can learn in detail about features and specifications of various beacons available in the market. You can also watch videos and understand the most common use cases for a beacon of your choice. Lend your peers a helping hand by rating beacons and offering your first hand review, if you’ve already used them. Don’t you agree that nothing can be more reassuring than a peer review? If you wish to share this goldmine of information to your friend/colleague, do it right away from within our Interactive Beacon Hardware Guide. 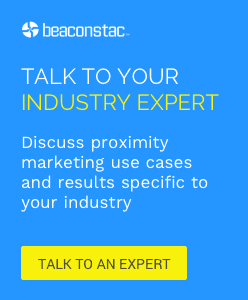 Webinar on ‘How to choose the right beacons for your business’ – You are invited!